As the smartphones are getting thinner and smaller, they look out for ways to utilize their spaces. One of the ways was to reduce the Sim card size. Hence, from regular Sim card we got the micro-Sim but that was not the end. Nowadays most of the newer iPhones and iPads alike are using much smaller version of the Sim called the nano Sim. So if you’ve switch your older smartphones for the newer devices than you might face the problem of needing a new sim. 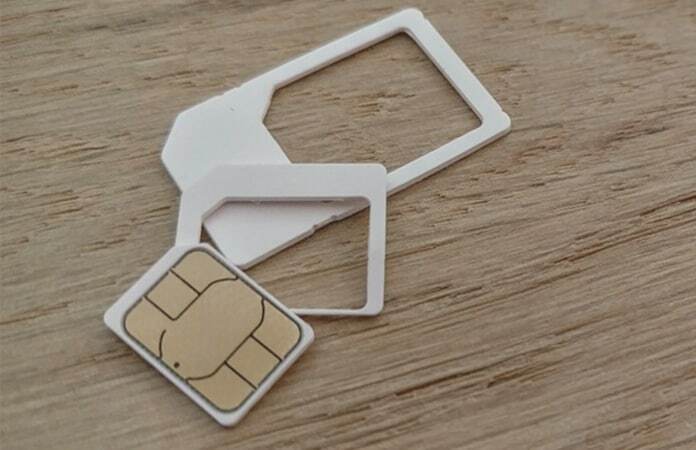 Don’t you wish that you can cut a regular SIM to nano SIM card? Well, as it turns out that your nano Sim is same as your regular Sim card the only difference is the amount of plastic border used. So technically a nano Sim is both the micro-Sim and regular Sim. You just need to cut a nano Sim out from both of them. However, if you don’t want to cut a nano Sim you can simply contact your carrier or visit the shop. And they will issue you a new nano Sim saving you the trouble to cut a nano Sim. You’re cutting the Sim card at your own accord, though it is fairly a simple step. But during our test cuts we were managed to cut them out right but in few instances they did not come out as we expected. And they were not working properly with both the older version and the newer version. So if you start to cut the Sim at your own risk, remember that it can be damaged. Then you will either need to get a replacement from the carrier or a buy a new nano Sim. Note: Many cellphone sellers will carry a nano Sim cutting tool and can cut your Sim card for a minimal fee or free. First, lineup the nano Sim on top of the Sim card with the metal side facing up. Some of the Sim card will have a guide to cut the Sim down so it is best to closely line-up the nano Sim and Sim card to the guidelines. Once the nano-Sim is lined up use a pencil around the nano Sim to make the guideline more accurate and prominent over the Sim card. Then use a pair of scissors to cut around the guidelines. Once you’re finished cutting from the edges use the nail file to fine trims the sides. Then place the nano Sim on your iPhone tray and see if it’s a fit. If not and the nano sim is larger than the tray. You can just trim again the nano-sim bit by bit until it can fit perfectly in the Sim tray. That’s it just insert the nano Sim inside your iPhone or iPad. Restart the device and wait till it searches for the network and you’re able to see the network signals on the screen. Let us know in the comments below any other useful tips to cut a nano Sim card.